The Financial Conduct Authority (FCA) has agreed to the Treasury Committee's proposal for a legal adviser to study its report into misconduct at RBS. The report, leaked to the BBC, said the RBS department set up to help companies in trouble mistreated some clients. The FCA has refused to publish the skilled persons' report so far and has only released a short summary. But FCA chief Andrew Bailey has agreed to allow Andrew Green QC to compare its summary with the full report. Last week, Treasury Committee chair Nicky Morgan said her committee might force publication if the FCA did not agree to it being scrutinised. Mr Bailey and his team will decide whether or not the detailed summary closely reflects the report's findings. "If the advisers' report does not provide the Committee with the assurances it needs, it will decide whether any further steps are required," said Mrs Morgan. "There is no good reason for the Committee's review to delay the FCA from publishing its summary as soon as possible." 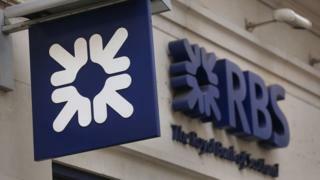 The leaked report found that some "inappropriate action" - such as interest charges being raised or unnecessary fees added - was experienced by 92% of viable firms seen by RBS's Global Restructuring Group.